packs, unlike the Sims 2 it was only available in the Sims 2 University. option isn’t that fast in normal graphic cards that most computers have, it is incredibly slow compared to the Sims 2. There is an additional waiting rather than playing while the Sims sleeps. Overall, the Sims 3 improved a lot but is yet to be improved. EA did give some add ons every time I updated the game but I am still waiting for many more, such as a height slider. EA is probably making me wait and making me buy their really attractive expansion packs to make more money out of me. 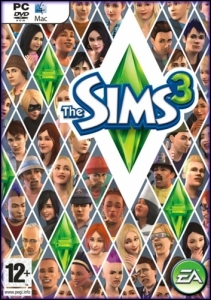 The Sims 3 was such a great game and great experience for me. It was one of the main reasons I didn’t go outside and be active lol. Back then I thought the graphics were amazing and the fact that you could control anything was amazing. But I didn’t like the fact that after buying all the add-ons I could no longer play it because I lost the original Sims 3 CD.